The Rainforest 66 is a favorite among users who wish to grow medium to large size plants. Vortex® Sprayer lifts and oxygenates the nutrient solution and then gently distributes it over cutting’s bases or root systems. This system includes: 17-Gallon reservoir with lid, six – 6 in lid inserts, Vortex® Sprayer, 6 in plastic cups and 3-Part Flora Kit. 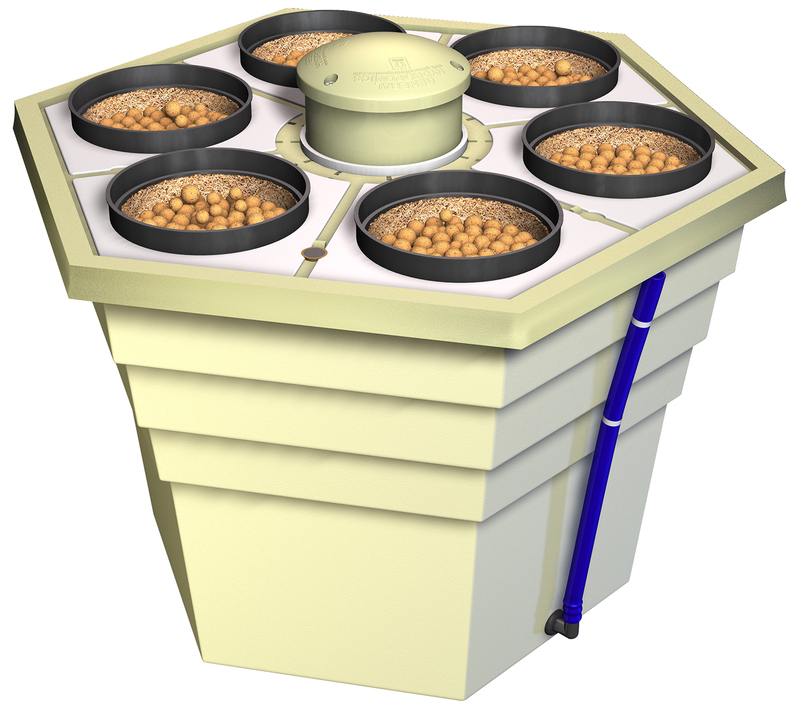 The RainForest 318 can accommodate up to eighteen small plants from cuttings to harvest or up to ninety cuttings for rooting and transplantation in 3 in plant sites. Vortex® Sprayer lifts and oxygenates nutrient solution then gently sprays it over cutting bases or root systems. This system includes: 17-Gallon reservoir with lid, six 3 in lid inserts, Vortex® Sprayer, 3 in plastic cups and 3-Part Flora Kit. Growers can use the RainForest 236 to create a modestly sized nursery. 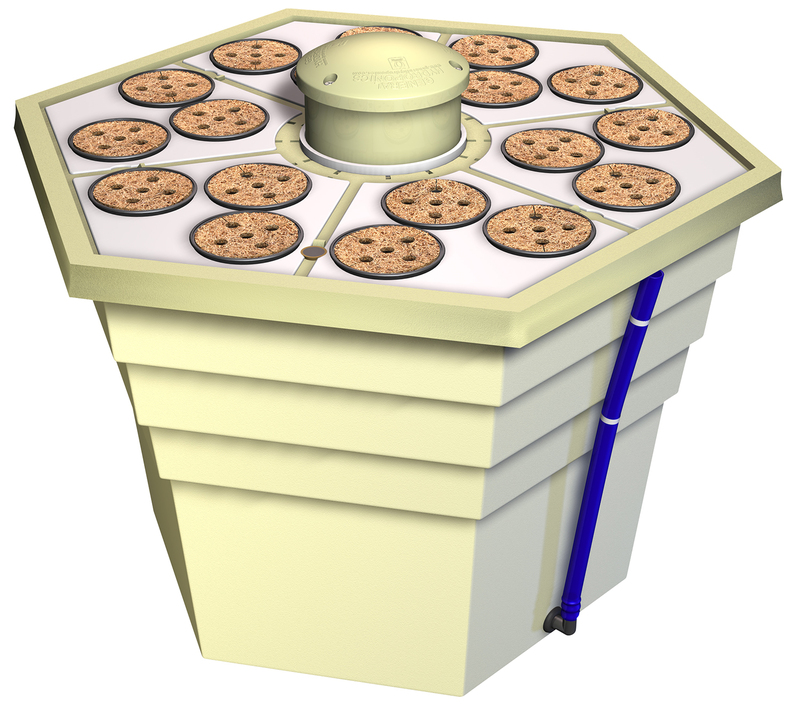 Use this model to propagate cuttings or to quick-start seeds in a small footprint area. Vortex® Sprayer lifts and oxygenates nutrient solution then gently sprays it over cutting bases or root systems. 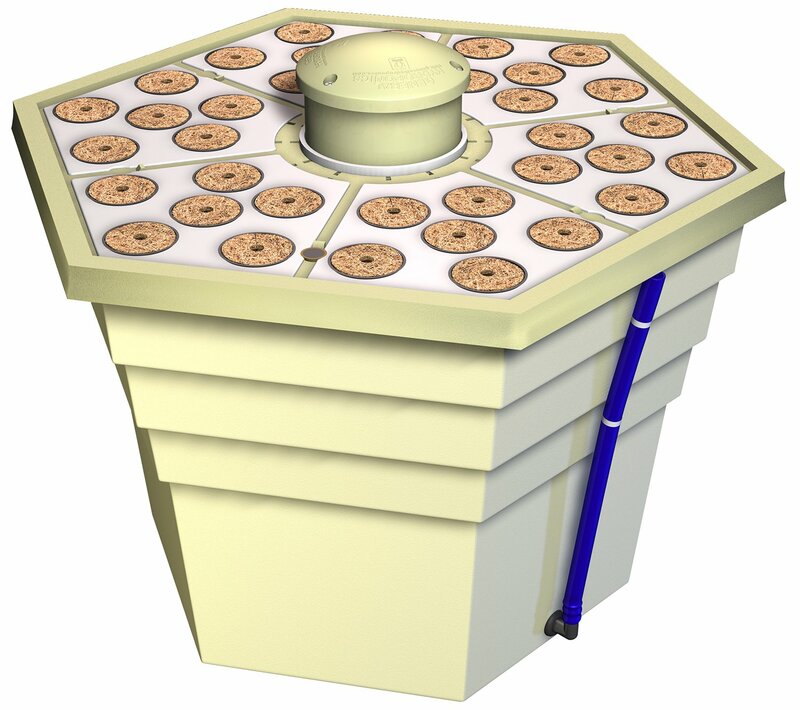 This system includes: 17-Gallon reservoir with lid, six 2 in lid inserts, Vortex® Sprayer, 2 in plastic cups, CocoTek® liners, CocoTek® caps and 3-Part Flora Kit.